We’ve been hearing about the dangers of climate change for quite some time. Scientists routinely caution against warmer temperatures, rising sea levels, and melting ice caps, but sometimes it can be difficult to imagine the impact of these phenomena on our daily lives. Gradually sinking cities may be the first (and most alarming) way climate change manifests in a tangible sense. Due to rising sea levels and other environmental factors, several of the world’s major cities are slowly sinking into the ocean — some at a staggering pace. No continent is immune, either. Dr. Katherine Kramer, lead author of the research paper “Sinking Cities,” notes that rampant development has also weakened many cities’ natural means of flood protection, and poor city planning only make matters worse. “The global metropolises may look strong and stable,” she told The Guardian, “but it’s a mirage.” From the United States to Africa to Asia, here are a few of the cities most in danger of being overtaken by the sea. 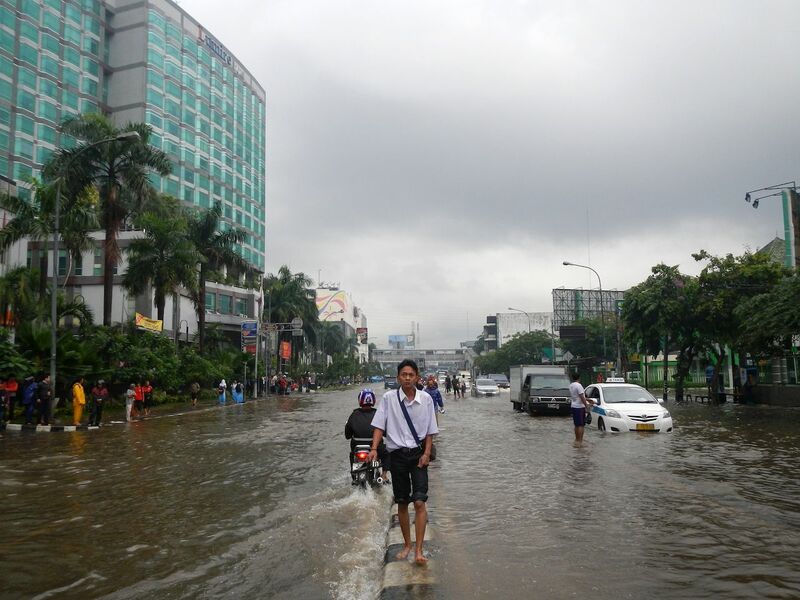 The capital of Indonesia has the unenviable privilege of being the fastest sinking city in the world. Forty percent of the city currently lies below sea level, and it’s sinking at the alarming rate of 10 inches per year. The cause is directly related to the city’s infrastructure as Jakarta does not have a reliable network of piped-in water. This is leading to an abundance of private wells used by residents to obtain groundwater. According to The New York Times, this causes underground aquifers to become drained, “like deflating a giant cushion underneath the city.” The unfortunate result is a two-pronged assault on the city from above and below. Rains flood neighborhoods while the heavy skyscrapers sink into earth whose stability is compromised by a lack of groundwater. London can’t blame its sinkage on skyscrapers or faulty infrastructure. It’s actually the result of the last ice age and a phenomenon called “glacial isostatic adjustment.” According to Kramer, London’s sinking is caused by “the weight of the glaciers pressing down on Scotland 11,000 years ago. These depressed the north and allowed the south of the UK to relatively soar.” Since the UK’s glaciers have since melted, however, Scotland is now rising — at .04 inches per year — while the south of the UK is sinking back into the sea. 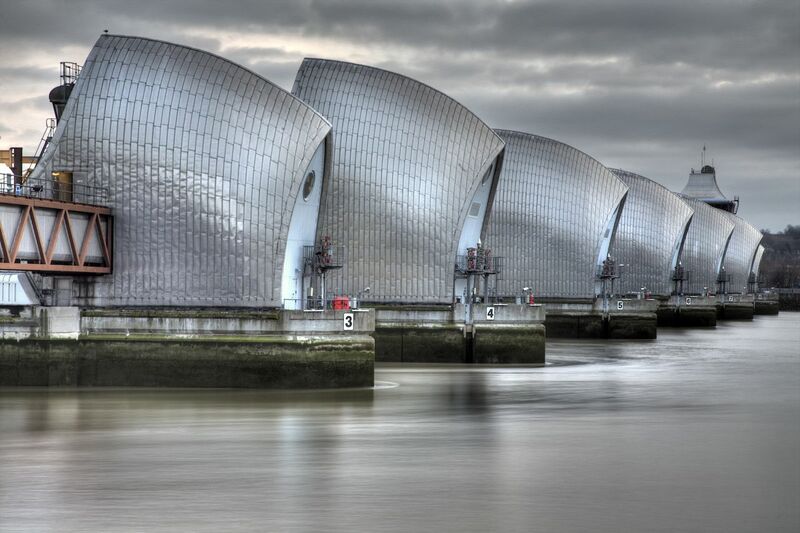 Although the metallic gates of the Thames Barrier were designed by engineers to protect London against flooding, they were only expected to be needed a maximum of three times per year. Currently, they’re being used six or seven times per year. 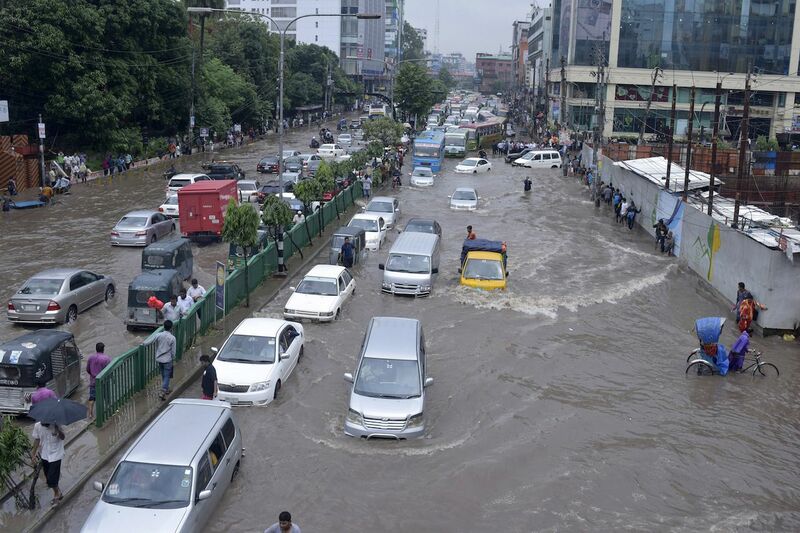 The capital of Bangladesh is sinking at a rate of a half-inch per year. While this may not put Dhaka in as dire straits as Jakarta, the sea level in the Bay of Bengal is rising 10 times faster than the global average. Millions in the city’s coastal areas have already fled, migrating to Dhaka’s overcrowded slums. Like Jakarta, the situation is being exacerbated by groundwater extraction at an unsustainable rate, as well as shifting tectonic plates. To solve the groundwater problem, officials have endeavored to improve the city’s water infrastructure though it’s unclear whether these efforts will be enough. Bangkok finds itself in a precarious position. Currently sitting just five feet above sea level, and sinking at a rate of one inch per year, the city is projected to be submerged by 2030 unless drastic measures are taken. Bangkok does not suffer from the same groundwater issues as Jakarta and Dhaka, but its towering skyscrapers are, however, causing the ground to cave in on itself. 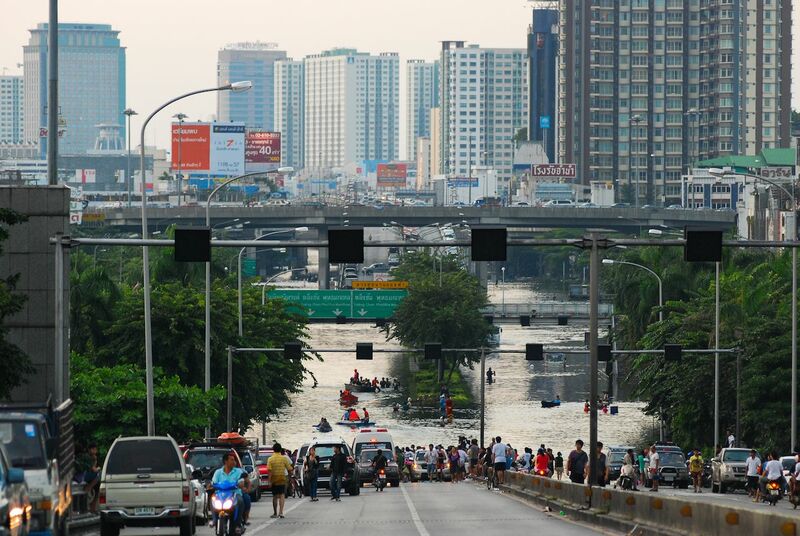 “Bangkok’s sinking feeling has ironically been made worse by its reaching for the skies,” Kramer writes. “The sheer weight of its buildings are pressing into the riparian sediments and compacting them as the sustaining water is depleted from them.” Thailand’s National Reform Council has recommended building a huge seawall around the entire city to help curb the problem. According to a 2016 NASA study, New Orleans is projected to see 14.5 inches of sea level rise by 2040. That’s one of the highest in the world. NASA’s maps show parts of the city sinking at a rate of two inches per year, mostly areas near the Mississippi River and industrialized sectors like Norco and Michoud. Like other major cities, the rising water level is being caused by groundwater pumping; human withdrawal of water, oil, and gas; compacting of shallow sediments; and continued land movement from glaciers during the last glacial period. The danger to the region is so immediate that the government recently set aside a $48 million grant to move residents of Isle de Jean Charles — among Louisiana’s fastest-sinking communities — to drier land.